SurveillizCam turns your USB webcam or capture card into a digital remote camera surveillance system. It can monitor your home and office by stably detecting motion and logging surveillance video into AVI with MPEG1 or MPEG4 codecs for up to 16 channels simultaneously. You will be notified of abnormal motion in your place of monitoring via sound alarm or live videos over Internet. You can also create schedules to automatically record video, detect motion and launch network functions. All logged video can be playback with Windows Media Player or SurveillizCam's video management and playback system. This software also features with central surveillance (SpyCenter) and remote surveillance (SpyEverywhere) programs. Hundreds SurveillizCam instances can connect and send live surveillance video to one SpyCenter which would be located at a central monitoring office. On the other hand, SpyEverywhere lets you connect to and see live surveillance video of your SurveillizCam via Internet. 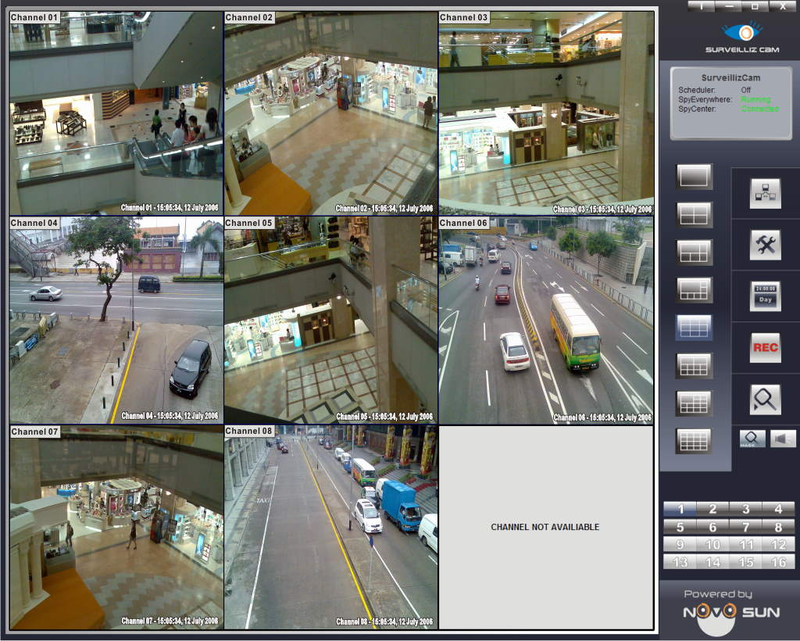 Surveillicam has other powerful function such as disk space recycle, full screen viewing, password lock, client management, etc.